Oak Creek is deep into one of their best hunting seasons yet, including the Missouri elk hunting season, and at Oak Creek Whitetail Ranch, they could not be more excited. As one of the most successful elk hunting preserves in the state, they have been watching one of the most spectacular elk herds ever, noting several bulls over 400 inches and a couple up into the 500 inch mark. As such, their guests are having an excellent season. “Here at Oak Creek we want to give avid and novice hunters across the nation the opportunity to experience the excitement and awesome journey of trophy elk hunting” says Donald Hill, owner of Oak Creek Whitetail Ranch. Ranches like Oak Creek give hunters a huge advantage in harvesting some really nice elk, through their efforts of conservation, responsible ecology management, and education. Their approach to elk hunting is to put the health of the population as a whole first, so that they never overtax both the land and the elk it supports. 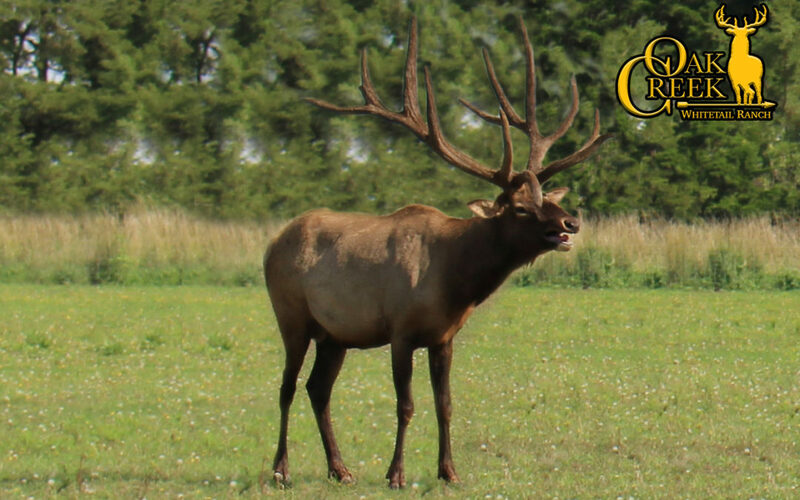 The mature bull elk that are on the ranch this season is a testament to how their efforts contribute to a thriving population and a renewed environment that was nearly lost to native Missouri. “Beyond our focus on ethical and responsible trophy hunting, we also want our family-oriented hunting ranch to be a place for people to connect, share new experiences, and learn more about how hunting traditions contribute to the ways we celebrate and understand nature. We all can learn from the example of how the fun of hunting goes hand-in-hand with responsible conservation, and for younger hunters, these lessons help educate and build character” says Hill. Even if you miss out on this elk hunting season, it’s never to early to plan for next year. Contact Oak Creek at (573) 943-6644 for more information and become apart of the Oak Creek family and the values that create the best trophy hunting in North America.